The world's biggest star is back. On Monday night at the CFDA Awards, Alexander Wang was up for the evening&apos;s highest honor — Womenswear Designer of the Year — so it was only right that he had one of the most notable dates on the red carpet. Along with model Anna Ewers who starred in his spring 2014 ad campaign, Wang arrived with none other than Mango, the wacky, fan favorite "Saturday Night Live" character brought to life by Chris Kattan. 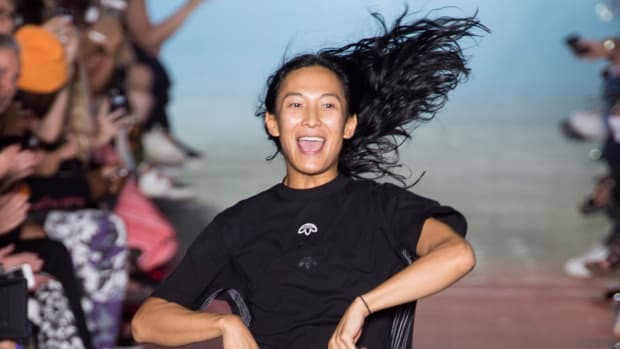 Mango, wearing leather hot pants and a sparkly beret, was likely in attendance to promote his appearance in the new T by Alexander Wang campaign video (see below), which reveals why he, the world&apos;s biggest star, disappeared from the spotlight so suddenly. Despite his hiatus, we learn that Mango is still very much the diva he once was, and we get a rare glimpse into his inner psyche, which is just as weird as we hoped it would be. In the skit, Mango says that he decided to come out of hiding after someone from Alexander Wang told him that the world needed him, which was like "getting slapped in the face with a giant Wang." And now, he&apos;s back! For all of you pop culture junkies out there, there&apos;s guest appearances by a Victoria&apos;s Secret Angel, a Real Housewife of New York and some major fashion players, so keep your eyes peeled. Watch the full campaign video below, especially if you need a fix of the Mango. The designer's spring 2016 collection for the French house will likely be his last. 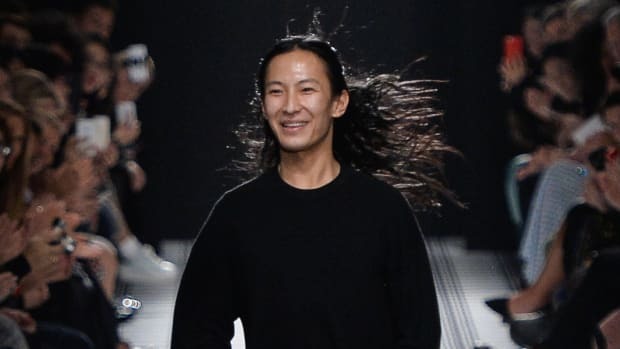 Hey, Quick Question: Is Alexander Wang Behind the Best Meme Account on Instagram?